The NUS Queer Department fights against queerphobia on and off campus. We want universities – and society – to be places free from discrimination and oppression. Whether we’re campaigning for our rights to legal equality or simply the right to use a bathroom that matches our gender identity, the NUS LGBTI Department is here to fight for the interests of LGBTIQ+ students around the country. We’ve come a long way since the 1950s but we’ve still got a long way to go when it comes to combatting homophobia and transphobia in society today. We’ve won marriage equality, so what next? This year the NUS LGBTI department is running two main campaigns to improve the lives of LGBTI people. Your two LGBTI officers are Kim Stern and Jasmine Duff. 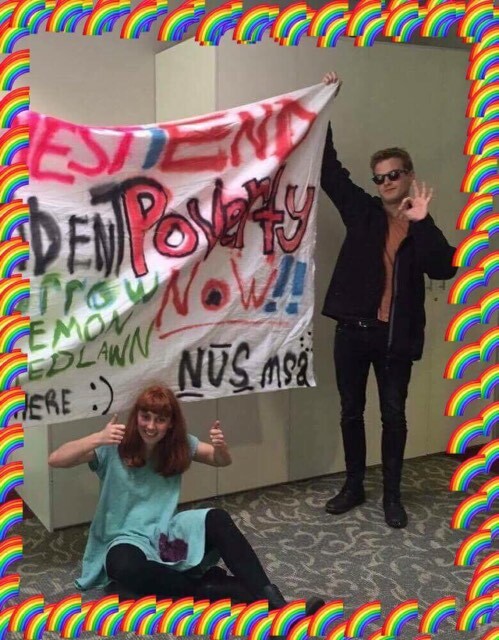 We’re campaigning against homophobia and transphobia in collaboration with campus queer departments, and we are running the Equal Health Now campaign to ensure that campuses don’t cut existing health services and to fight for more. We are also making an effort to get LGBTI people involved in activism. We understand that all of our rights are connected. The more racism there is in society, for example, the better the ability for the right in society to attack all of us.